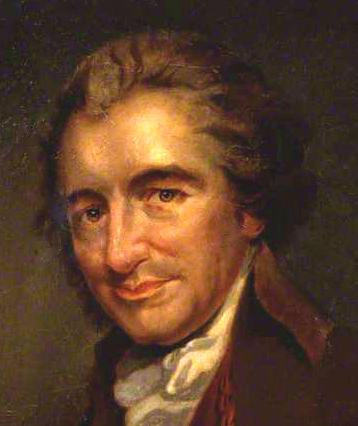 Thomas Paine (1737 – 1809) was an internationally renowned radical figure in the late 18th century. He came to live in Lewes in 1768 when he worked as a customs officer and lodged in Bull House. His room was above the grocer and tobacconist shop and he married his landlord’s daughter Elizabeth Olive in 1771 at St Michael’s Church. Paine was fully involved in Lewes life, acting as a jury man at the County Assizes and also a vestry man at St Michael’s, dealing with the poor and needy of the parish. Outside work he loved debating politics and issues of the day in the Headstrong Club at the White Hart. Soon he gained a reputation as a writer and was asked by customs officers to draft a petition to Parliament for better wages. Spending time in London he met Benjamin Franklin who encouraged him to move to Philadelphia in 1774. The rest is history; in America he composed a brilliant pamphlet ‘Common Sense’ which stirred up opinion in the States to fight the Wars of Independence. He was also involved in the French Revolution and wrote the famous ‘Rights of Man’ arguing against the monarchy and establishment for true democracy and rights for all.